Guinness is a great holiday beer. There’s just something about a frothy stout pint that fits well with the colder months. 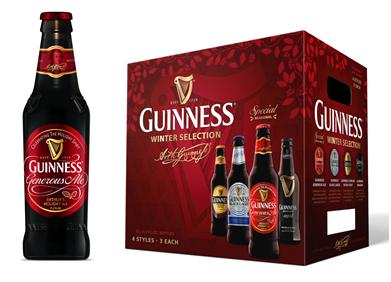 I’m a bit partial to Guinness Black Lager myself, but this holiday season, you have options. You can keep it simple with a traditional Draught, get in on some extra stout action, enjoy the light-flavored-darkness of the Black Lager or reach for the new holiday brew, Guinness Generous Ale. Guinness Generous Ale is the first winter-themed beer from the Irish brewery that’s been putting out great beers since 1759. The new Ale is brewed as a traditional winter ale and features a more medium brown color and a distinct roasty flavor, almost like a nutty coffee with caramel undertones. The hops flavor shines through, and the resulting bitterness isn’t too invasive. It’s good, folks. So you see, you don’t have to go out and try and save the world. Just think about being generous in your own way. 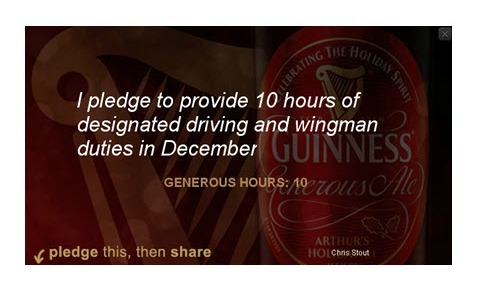 Go take the pledge and spread the generous cheer this holiday season!